After cracking down on Apple’s iPhone 5 design and recent rumors, Ming-Chi Kuo also tells about the next generation iPod Touch, which is also said not to be getting any design change rather than a White color or may be Apple equipped it with its A5 dual core procesor. 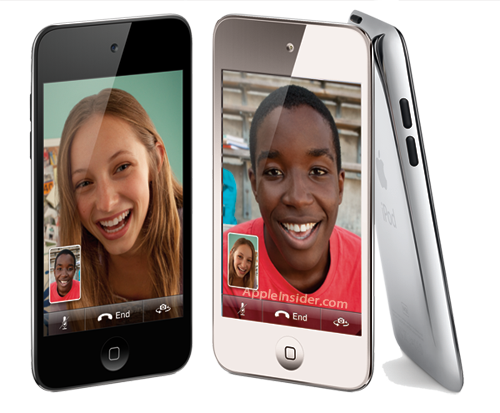 But Kuo noted that Apple may be doing something unique with the finishing of the White iPod Touch, at least will not serve as White iPhone 4 model, according to him the new white iPod Touch model will be made of different lamination process than uses for the early year white iPhone 4. He has also mention in his report that Apple’s new white iPod touch will be looks different than white iPhone 4, and also Apple still hopes the more demand of black model of iPod Touch and therefore they have orders 60% black models of iPod Touch. Kuo also believes that white iPod touch will help Apple’s in sales of iPod Touch, but the overall sales will be lesser than last year’s, and on the other hand he also believes that 2012 will be the year of iPod Touch sale, when Apple continue their iPod Touch and produce another model with different hardware design.